SUNRISE, Fla. (AP) — The commission investigating the Florida high school massacre announced Monday that it is postponing this week’s scheduled meeting because of Hurricane Michael. Some members of the Marjory Stoneman Douglas Public Safety Commission are law enforcement, education and state officials from the Florida Panhandle, where the storm is forecast to make landfall by Wednesday as a hurricane. This week’s three-day meeting had been highly anticipated, as the then-Florida sheriff’s deputy who didn’t rush into the building as a gunman killed 17 high school students and staff members was scheduled to testify about his actions on Feb. 14. 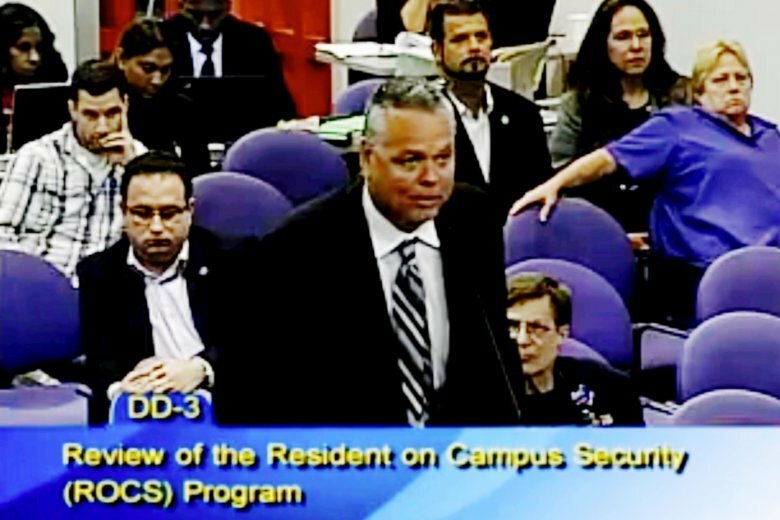 Former Broward Sheriff’s Deputy Scot Peterson, then the school’s resource officer, had been scheduled to testify about security camera video that shows him hurrying to the three-story freshman building, drawing his handgun but then remaining outside even though Broward County sheriff’s officials say his training taught him to charge in and shoot the gunman. President Donald Trump and others have called him a coward for not doing so, something he has vehemently denied. He will also be given a chance to discuss that training and whether it was adequate. But recent word the Florida Department of Law Enforcement is investigating possible criminal misconduct in the law enforcement response to the shooting might enable Peterson to invoke his Fifth Amendment right against self-incrimination. His attorney, Joseph DiRuzzo III, did not respond to emails and calls seeking comment. The panel must file a report by Jan. 1 with findings on what caused the massacre and recommendations for preventing future school shootings. Commission spokeswoman Gretl Plessinger said no new dates for this month’s meeting have been set.